Good birding, good food, cooperative weather, and fine speakers all combined to make this year’s AGM and Conference in Sidney this past weekend a great success. 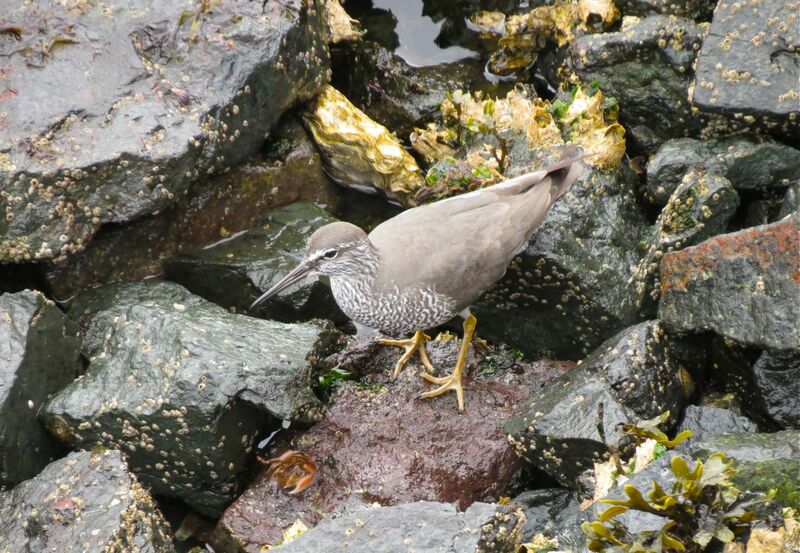 A highlight for many off-Island birders, and a lifer for some, this is one of two Wandering Tattlers seen on the breakwater at Ogden Point, Victoria this weekend. 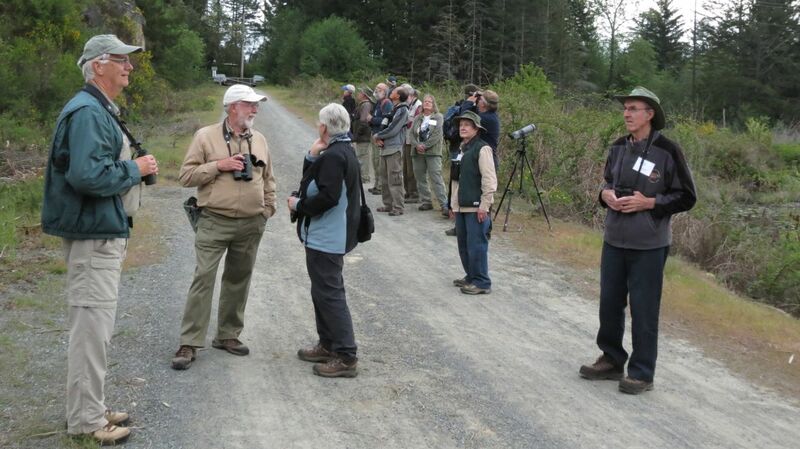 Expertly led by members of the Victoria Natural History Society, attendees enjoyed field trips to many varied locations. Habitats included freshwater lakes and marshes, rocky coastlines, mixed and coniferous forests, and fields and farmland on the Saanich Peninsular and around Victoria. The provisional total of species seen over the weekend is 109, with of course Skylark featuring high on many people’s lists. Final tallies, field trip reports, and more photographs will follow soon. Birding the Pike Lake ponds area provided an opportunity to watch and to hear a great variety of birds, and the chance to compare the songs of many of the common, regularly occurring warblers found on S. Vancouver Island. The Board welcomed Adrian Leather (Quesnel) as a new director elected by members on Saturday to the BCFO Board. Jude Grass, who served this past year as non-voting Past President, was returned to the Board along with Adrian. Congratulations to both. For a full list of BCFO Directors please select “Officers and Directors” from the drop-down menu under the “About” tab above, or click here. The weekend’s featured speakers engaged everyone with an array of fascinating topics. David Manning let us into the secret lives of Turkey Vultures nesting in caves on Pender Island, and our banquet speaker, Sean Boyd, gave us a stunning view of the vital importance of the Salish Sea to migrating, breeding, and wintering waterfowl across the northwestern quadrant of the continent, and into Russia. 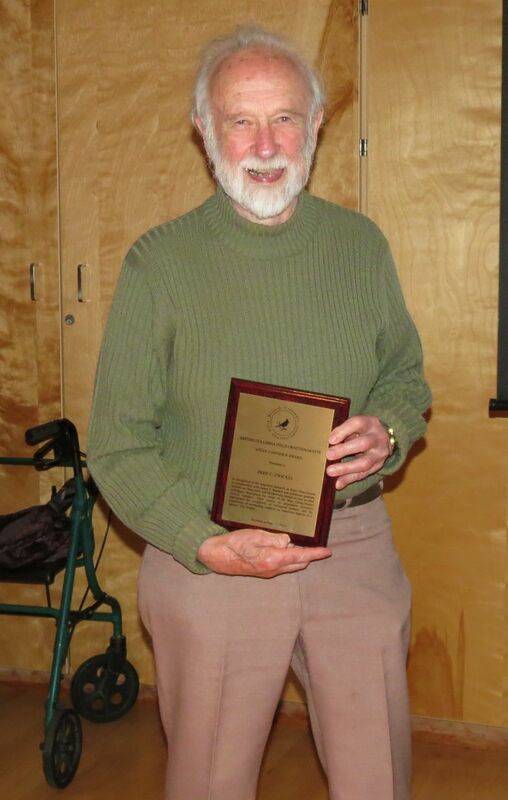 Dr Fred Zwickel, for his decades of work on the Blue Grouse complex, was the recipient of the 2013 Steve Cannings Award. Happily for us, Fred was able to come down to the conference and join us for the banquet and to receive his award in-person. And happily for Fred, a number of our members in attendance were students who had studied under his guidance at university, and others had worked with Fred over the years. At its post-AGM meeting the Directors proposed Pemberton as the location for next year’s AGM and Conference, and the first-half of June as the time of year. 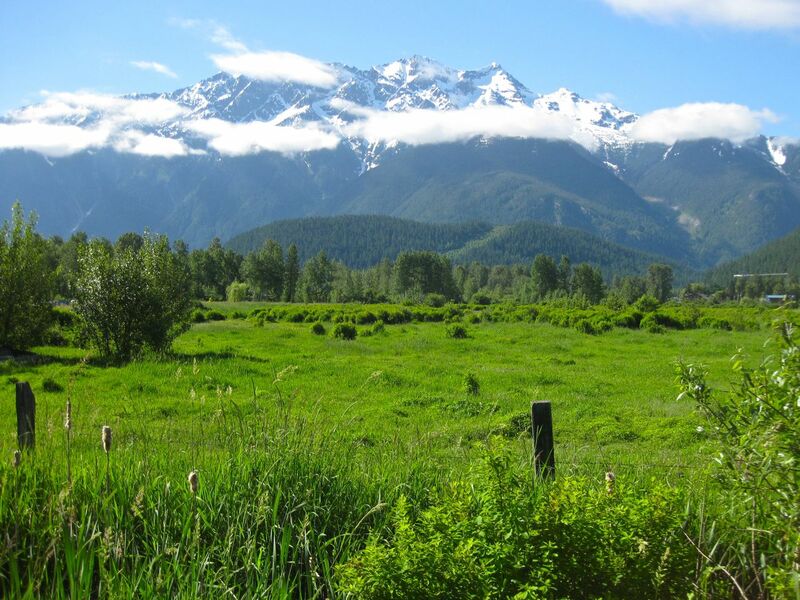 We’ve not previously visited Pemberton for our AGM, but it occupies a fascinating transition zone between the Coast and the Interior with great birds, and great locations for field trips, plus exciting possibilities for an extension trip to explore areas of the South Chilcotin and beyond. We will be working over the next few weeks to confirm the location. A challenge is going to be accommodation. We’ll know what’s possible soon, and we’ll let you know here. Keep checking in.